Suzanne Jill Levine is Professor at the University of California of Santa Barbara. For translation projects she has been awarded three National Endowment for the Arts Fellowship Grants, and a National Endowment for the Humanities Research Grant. Among her honours, she has received the first PEN USA West Elinor D. Randall Prize for Literary Translation and the PEN American Center International Career Achievement Award in Hispanic Letters. 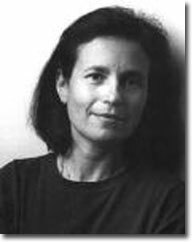 She was also awarded a Rockefeller Individual Scholar Residency at the Villa Serbelloni in Bellagio, as well as a John Simon Guggenheim Foundation Fellowship (1997). Some of Professor Levine�s recent translations are included in the definitive Non-Fictions of Jorge Luis Borges which received the National Book Circle Award for Criticism, and in 2000 she published a 450 page literary biography of Manuel Puig, Manuel Puig and the Spider Woman: His Life and Fictions. Other scholarly works include: El espejo hablado, Guia de Bioy Casares (The Spoken Mirror: A guide to Bioy Casares) and The Subversive Scribe: Translating Latin American Fiction.